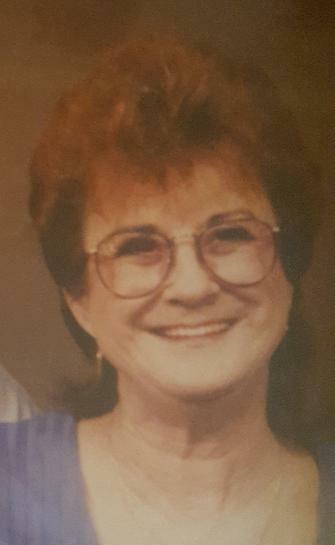 Grace Ann Brown, 75, wife of Walter Robert “Bobby” Brown of 9 Geer St., died Wednesday, August 15, 2018 at Rainey Hospice House. Born in Anderson County, she was the daughter of the late Thomas C. and Bessie L. Wright Manley. She was of Church of God faith. Surviving in addition to her husband are: sons, Pete Manley of Belton, Vincent and Mike Duncan both of Belton; daughter, Kelly Duncan (Brian Sheppard) of Belton; stepsons, Bobby Ray Brown, Earl Brown (Missy) and Tommy Brown (Kim) all of Belton; stepdaughters, Debbie Brown, Linda Kelly, Cathy Jordan (Marty) and Tammy Brown all of Belton; brother, Bobby Manley of Anderson; 24 grandchildren and 40 great grandchildren; 1 great great grandchild. She was preceded in death by her son, Allen Duncan and brother, Jerry Manley. Service will be held 2pm Saturday at Cox Funeral Home with Rev. Sam Duncan officiating. Burial will follow at Garden of Memories. The family will receive friends prior to the service Saturday from 12pm until 1:45pm at the funeral home.